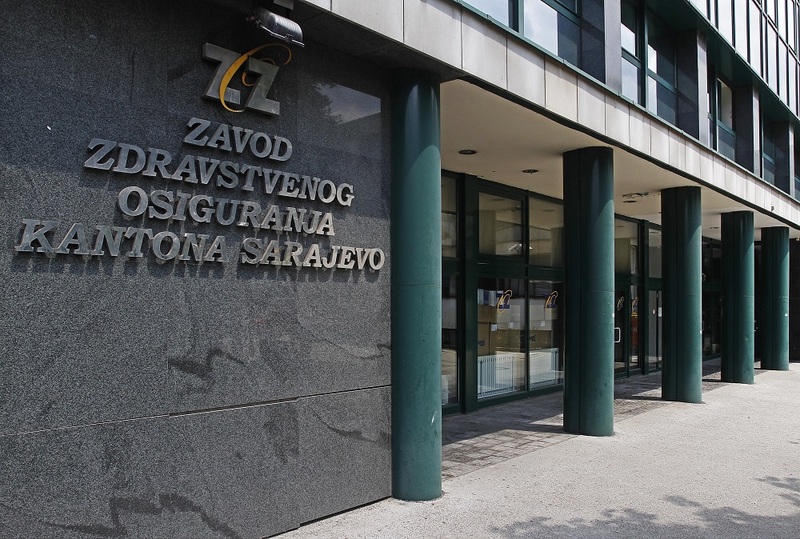 Former director of Zenica-Doboj Canton Health Care Fund, Senaid Begić, used the agency money for election campaign, advertising and purchase of awards. Even though he did not meet the requirements, the government of Zenica-Doboj Canton appointed Senaid Begić for a director of the Canton’s Health Care Fund in 2012. Two years later, at the beginning of the election campaign, Begić offered internship positions at the Fund to young sympathizers and his political party members. Later they worked on his election promotion and in this way helped him win a new term as legislator at the Cantonal Assembly. During that election year of 2014, Begić gave a raise to his closest associates after he had already arranged for his own. The agency had to find money for big and unplanned costs of financing interns and its employees, so the Board of Directors took 457,000 KM that year from the budget reserve and money allocated for treatment of patients outside of the canton. Begić said that all costs were planned by the budget and that he was not spendthrift. “I don’t spend on myself dude, I spend it on people, business partners,” Begić told the reporters from the Center for Investigative Reporting in Sarajevo (CIN). A member of Social Democratic Party (SDP), Begić was elected for a cantonal legislator at the 2010 general elections. His party and the Party of Democratic Action won most of the Assembly mandates and formed the Assembly majority together with the People’s Party Work for Betterment. The division of spoils left SDP with the position of director of Heath Care Fund. The cantonal health minister appointed Begić to the post in April 2012. He went through formalities of the vacancy and took over the agency which operates with an annual budget of 150 million KM. According to then Fund’s by-laws, director had to have five-year experience on managerial positions. 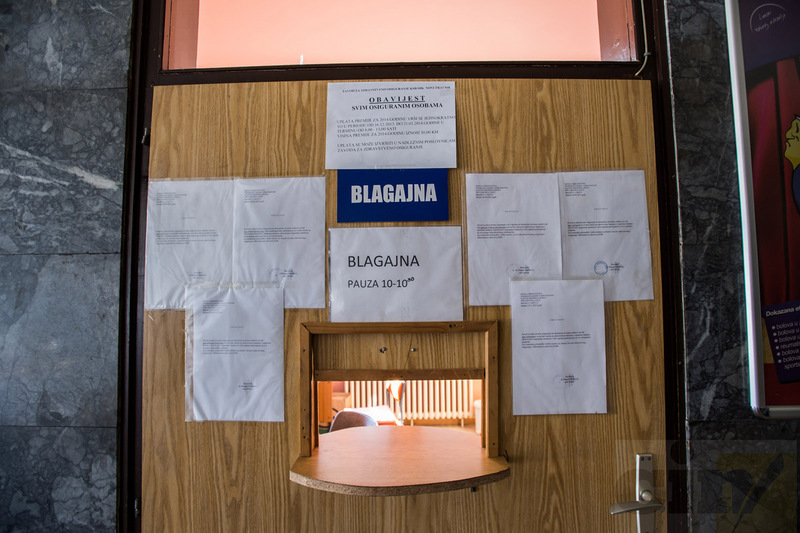 The current Fund’s director Mirzeta Subašić, said that Begić did not meet that condition: “He was an employee at the municipality of Doboj Jug and that was all experience that he had“. Prior to his directorial appointment, Begić spent 12 years on the Council and in the administration of the Doboj Jug municipality. During this period, he held no managerial positions. From the beginning of his term, Begić was hiring interns. Subašić, who was director before and after Begić, has never done that. During 2014, Begić was getting ready for the elections and he planned to win another term in the Cantonal Assembly. The fund admitted 56 interns that year. CIN reporters uncovered that at least ten of them took part in Begić’s election campaign. They distributed materials with Begić’s face at SDP’s conventions, and used social network Facebook to promote his advertising material and photos with his number from the poling list. Most of these interns were SDP’s members or sympathizers and in interviews for CIN they did not hide their fondness of the party. Some of the Fund’s employees say that some interns even handed out party material on the Fund’s premises. Sedina Hasić was talked into becoming SDP member by another intern when she started her internship at the Fund. She told CIN reporters that election material was distributed on the Fund’s premises and that Begić had interns’ support: “When someone hires you, i.e. gives you an opportunity to work for a year, then you feel the obligation to give a vote to that person. All of us felt that way”, said Hasić. Former intern Naila Muratović is also SDP member. She said that she took part in the party and Begić’s promotion though never during the working hours. “I am a lawyer by formation. I know very well how not to mix things and how they need to be done”, said Muratović, who went with Amna Subašić to election conventions. Subašić told reporters that she was not SDP member but did not want to discuss the dissemination of the materials. Their then colleague, Haris Isaković, said that there were at least another sixteen young people among the interns who were supporting Begić: “Most of them were interns, members of the Social-Democratic Party or sympathizers,” said Isaković. Former director Begić told CIN that the number of interns from SDP was insignificant. He said that he did not see anything bad in the fact that “one or two or three” thanked him for hiring them: “If someone helped you land a job, should it be an issue if you promoted that person in positive light at another time? If you said ‘thanks to so-and-so, among the others, I was given a chance…to get a job,” said Begić. During Begić’s four-year term, the Cantonal health care fund hired 178 interns. Most of them arrived during the election year of 2014. The Fund’s officials said that interns had sent in their applications and had a talk with the director. They were then hired without scoring their applications against established criteria and compiling a list of the most successful candidates. 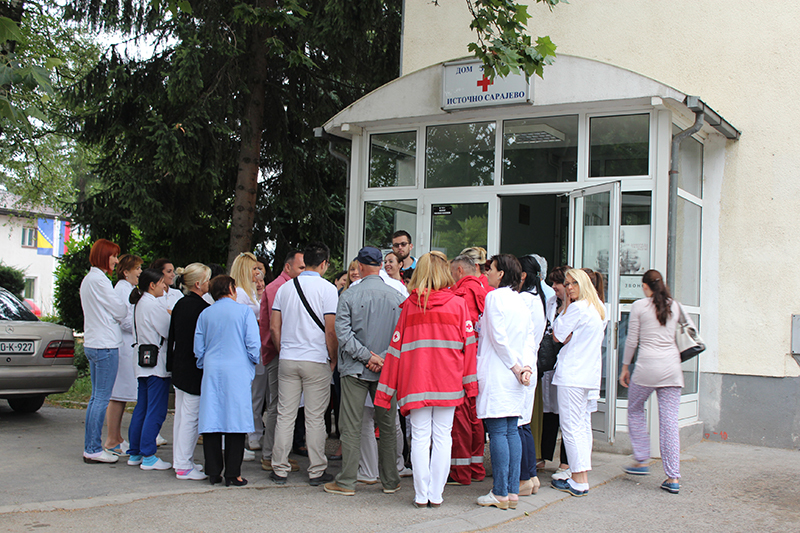 They were hired in accordance with the programs of the Cantonal Government and the Federation of BiH Ministry of Labor which spelled out that interns’ salaries were financed by the Cantonal and Federation of BiH Employment Bureaus, while the reminder of expenses, such as taxes, social contributions, meal money and commuting costs, were to be paid by the Cantonal Health Care Fund. Payroll officer Muris Beganović told CIN how costs were incurred – the Fund paid out more money than was foreseen by the programs. “Some of the money was reimbursed. It so happened that a program allocated 340 KM per an intern and here was paid 420,” said Beganović. “Or that PIU SESSER program — 183 KM were to be reimbursed, while some people received 1,400 or 1,500. By this I don’t mean a large number…“ Beganović said that he had warned the head of the Fund’s finances, Omer Avdaković, that these payments were not lawful. Avdaković says that he would not hire that many interns nowadays, but that they did not cost the Fund that much. According to the records that CIN obtained from the Fund, it paid nearly 1,05 million KM for 178 interns over the four years. When expenses are included the figure amounts to more than 1.72 million KM. Around 676,500 KM were reimbursed. “They did not sit around drinking coffees, but were given tasks to learn and improve,” said Avdaković. The Fund’s current management said that its Rulebook did not stipulate how many interns can the Fund hire. The management said that the hiring did not represent the Fund’s real needs. “In some offices sat several interns without any particular tasks or needs,” stated the management in their letter to CIN. Paying interns with the money intended for medical treatment of insured patients represented misappropriation of the agency’s funds, stated the management in its reply. Most of the money was spent during the election year of 2014 when Begić hired 56 interns. They have cost the Fund 135,000 KM. Before everything else, Bagić made sure to increase his income. At the end of 2013, he agreed with the president of the Board of Directors, Jasmin Mahmutović, to have his own salary raised from 3,200 KM to around 4,400 KM. Even though the government ordered next year that salaries of all managers in the Cantonal agencies should be decreased, Begić’s remained the same until the mid-2015 when it was reduced to 3,000 KM. 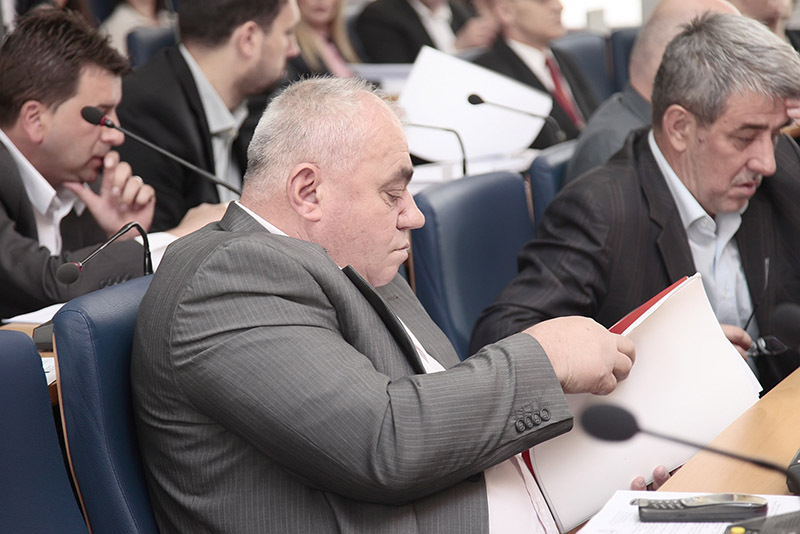 During 2014, apart from his salary in the Fund, Begić received an average monthly allowance for legislative work in the Cantonal Assembly in the amount of 1,184 KM. Having raised his own salary, Begić raised those of his closest associates: the head of financial and accounting department Avdaković; the head of legal and general affairs department Haša Begić and the head of department for the implementation of health insurance, Petar Marunović. He raised their salaries to the amount received by employees with medical school and advanced degree, which neither of the three had. Avdaković told CIN that they had salaries below their positions. “I’m the head of department and I had a salary of 1,100 KM at the Health Insurance Fund. If that or 1,200 KM is a realistic salary, then fine”. According to the Fund’s records, Avdaković received a net salary of around 1,600 KM, which was increased to around 2,100 KM. Among other things and because of the said costs, the money that the Fund budget for salaries and contributions was not sufficient. During the election year of 2014, the Board of Directors approved another 457,000 KM from the budget reserve and the money intended for patients to be treated outside of the canton, according to the Fund’s records. In December 2014, Begić received a golden certificate of recognition in the area of medicine from the European Association of Managers “BH Manager” which awards also the recognition for life achievement; the manager of the year or the decade; the best mayor, the best minister and so on. The award ceremony is in part financed from the sale of books and magazines that publish affirmative articles about the awards’ laureates who mainly buy those publications. Begić paid more than 3,000 KM of the Fund’s money for these publications. The Fund’s money was also used to pay five local media outlets two days before Begić’s directorial term was up in 2016. 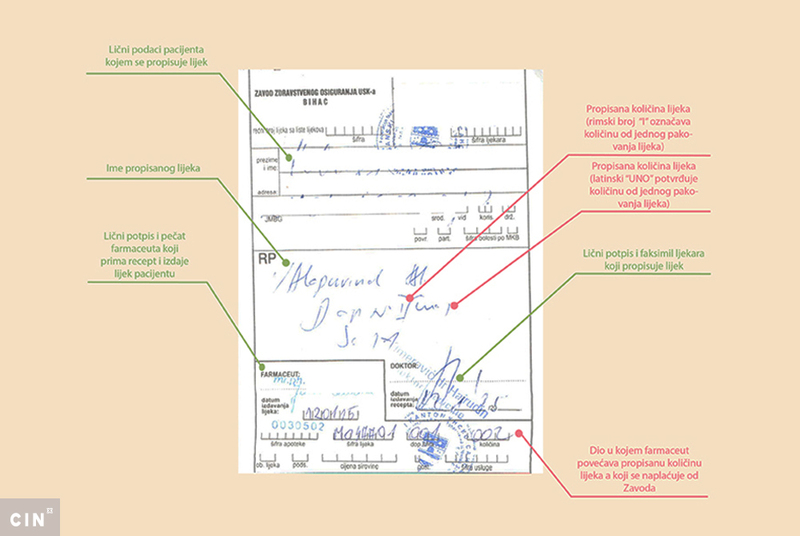 According to a complaint that the Fund filed with the FBiH Police Authority against Begić in April 2016, the contract with news organizations did not foresee voiding of contract in case of incorrect or poor reporting. Also, the Board of Directors has not been asked to approve such cooperation, even though the Fund’s by-laws stipulate that such a procedure had to be followed. Each of the media outlets received 1,080 KM for the period of nine months in advance. Some continued to positively report about Begić even after his contract was terminated and also reported against the new Fund’s management. Between last March to date, at least twenty-odd articles and radio programs were broadcasted. The media owners say that there was no preferential treatment and that they used to cover the Fund and its activities before Begić. Begić is pleased with the results of his work in the Fund. “Everything I did, I’m doing and I’m going to do, will always be transparent, no smoke and mirrors” he told CIN. Begić wanted to remain in the Fund after his four-year term has expired. In February 2015, Begić came to an agreement with the then president of the Board of Directors, Jasmin Mahmutović, to continue working in the Fund as an economist after his term expired. Mahmutović was under the obligation to inform the other Board members about it, but did not. “You know, life is a process in which circumstances change from one year to another. And at one moment, there was a need for that annex, and it was of pre-emptive character “ said Begić. However, after his term expired, the new director Dževad Hamzić brought to an end Begić’s contract and he filed a lawsuit against the Fund at the end of April 2016. Six months later, the Municipal Court in Zenica ruled that Begić must be returned to work, but not based on an annex to his contract that he signed with Mahmutović. The court’s ruling was based on the 2012 contract that appointed him director. The Fund decided to complain and the case is going to be reheard before the Cantonal Court in Zenica.